The team spent the majority of May catching up with plot clearance from winter and spring lets. This has also included major clearance of historical rubbish and asbestos waste from Roedale Valley, Keston, Lower Roedaleand Racehill. 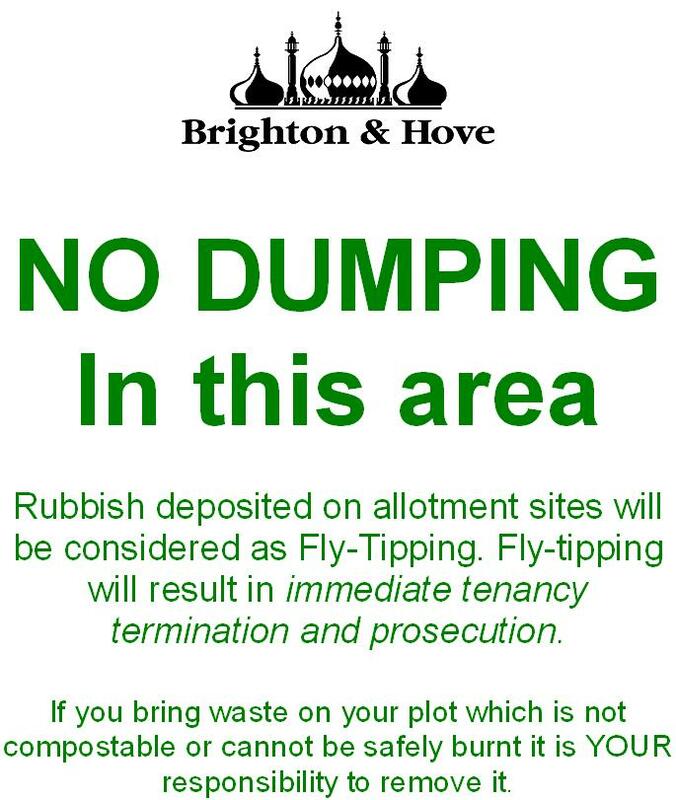 Rubbish piles encourage tenants to use them as dumps – it is hoped that once the team has cleared a rubbish pile it won’t come back as too much team time is spent disposing of waste tenants have brought on site and this reduces the good work the team could be undertaking elsewhere on allotments. 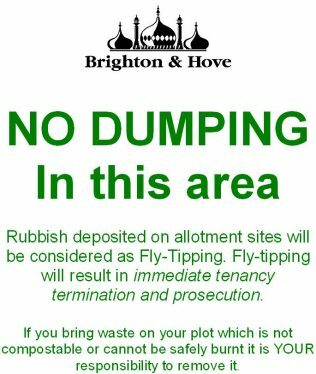 Please do not make more work for them – do not bring any rubbish on to site if it cannot be burnt or composted. If something breaks on site and becomes rubbish – and it cannot be burnt or composted then take it to the dump – do not just leave it on site. Particularly please do not bring rubble on to sites. This is NOT suitable material for paths because it is too difficult for the next tenant to clear – paving slabs, woodchips (both best with weed suppressant membrane underneath) make much better and less permanent paths! Other works have included replacing broken locks and installing new locks at Racehill, Tenantry down, Lower Roedale, Roedale Valley,Campsite, Thompson road, and Walpole allotments and fixing leaks and replacing damaged taps on Tenantry down, Hoggs Platt, St louis Home, Lower Roedale, St Marks, foredown and Whitehawk hill. The team have also strimmed plots in readiness to let on Eastbrook farm, Tenantry down,Walpole, Old waterworks, Larkhill and Mile oak, as well as chipped brash from winter tree felling at Roedale valley and undertaken fencing repairs at Tenantry down and Racehill allotments. The emphasis for June and July will be developmental work improving surfacing to haulage ways and essential works required to maintain water supplies across the all sites.